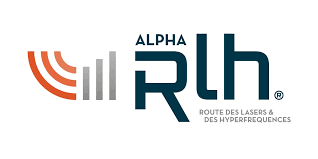 The international trade fairs BiOS and Photonics West were held in San Francisco from 27 January to 1 February 2018, bringing together actors in photonics, lasers and biomedical optics from around the world.The ALPHA-RLH cluster attended the two fairs with ten of its member-companies: I2S, ISP System, Le Verre Fluoré, Neta, Scoptique, Spark Lasers, Amplitude Systèmes, ALPhANOV, Femto Easy and Irisiome Solutions. New spectroscopy and imaging methods were presented at the event, in particular the ASOPS spectroscopy method by Neta, I2S’s Terahertz camera and Spark Lasers’ laser for health applications. Alongside the Photonics West fair, SPIE and the French Tech Hub ran the Photonics Fast Pitch, where ten companies pitched their fundraising projects in two minutes. France was represented by two companies from Nouvelle-Aquitaine: ALPhANOV and their product, GoSpectro, and Femto Easy with their innovative range of products for ultrafast laser measurements, who were able to meet manufacturers and potential investors.